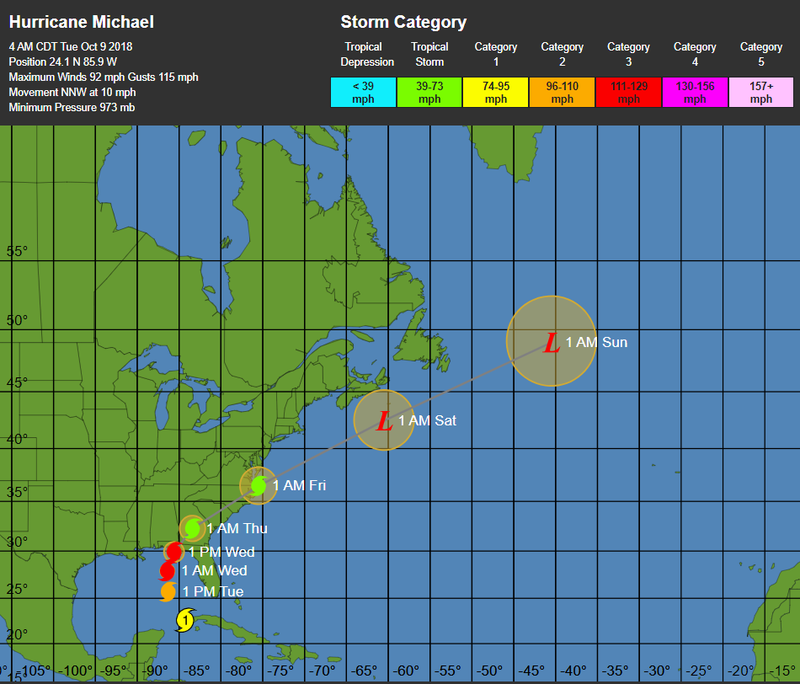 Guess who gets to drive through hurricane/tropical storm Micheal on Thursday evening? That’s right, it’s me! I’m headed down to Savannah after work on Thursday to attend my sister’s wedding. As if I wasn’t thrilled enough already. This is going to be fun.